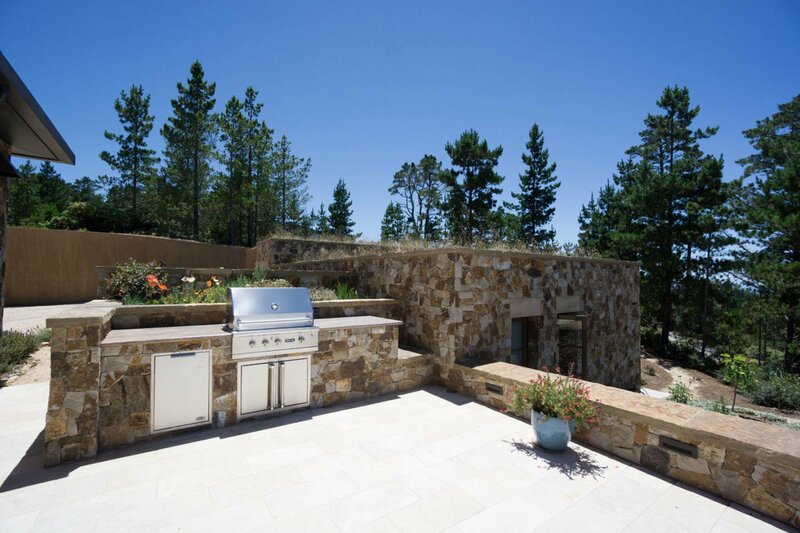 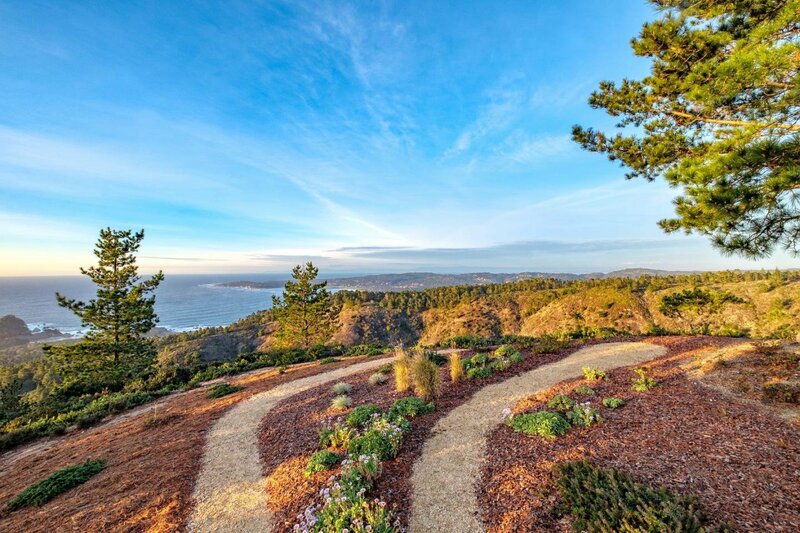 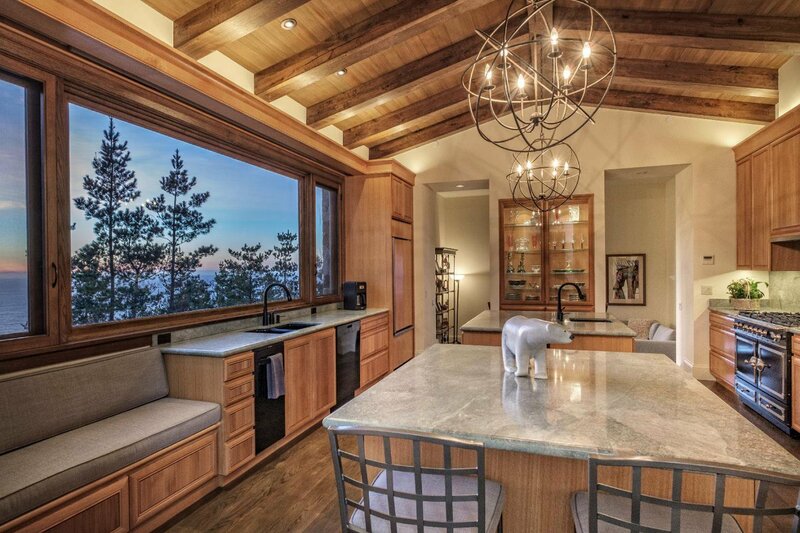 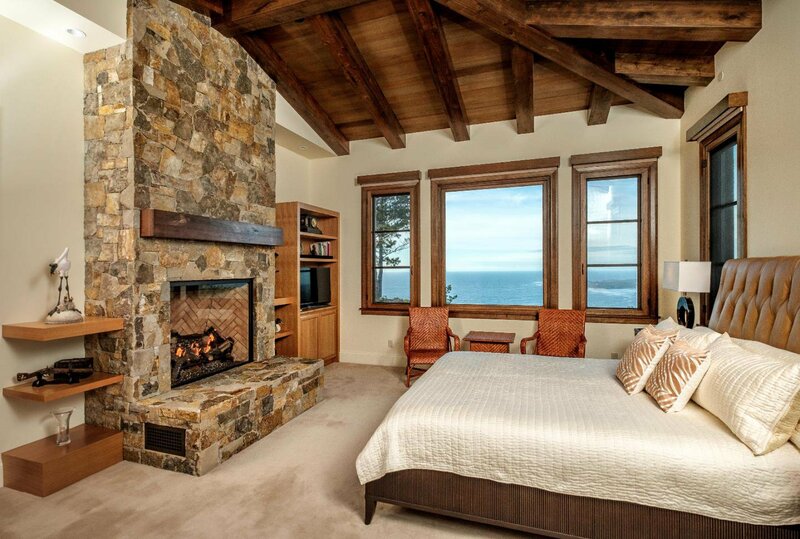 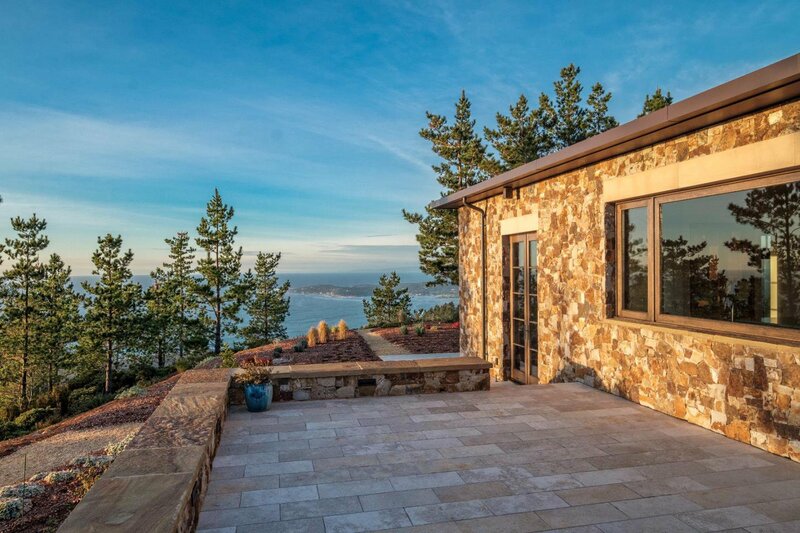 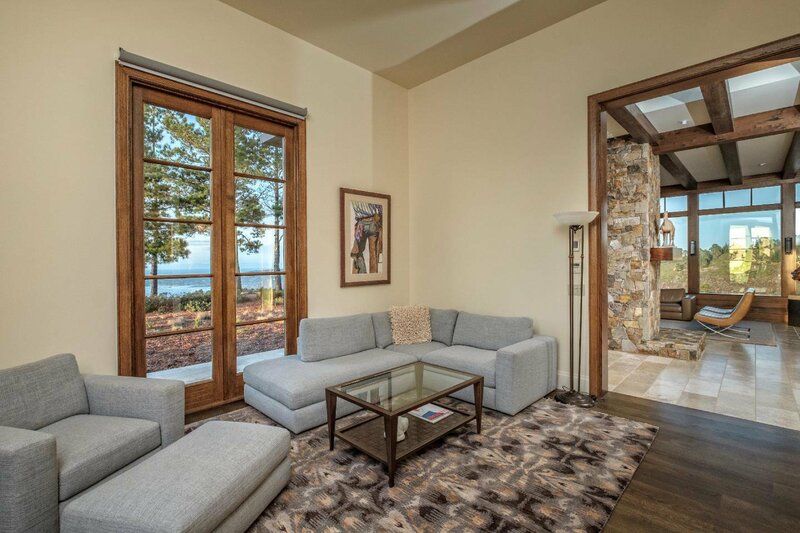 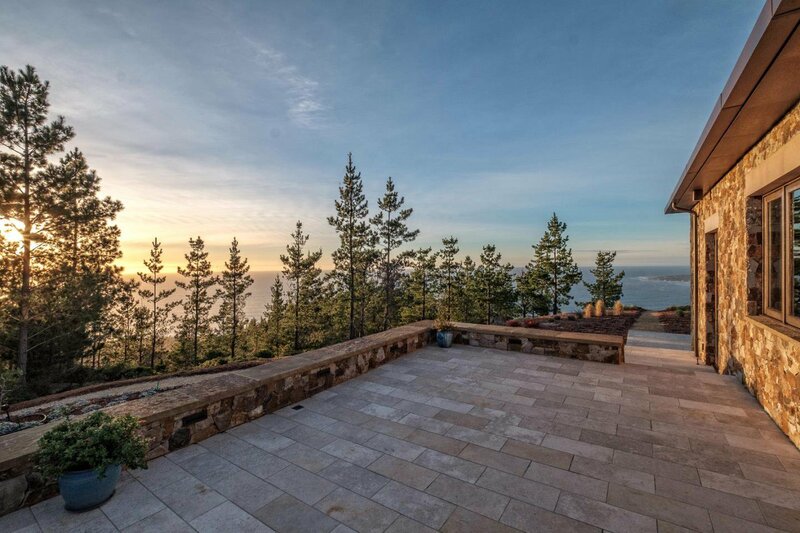 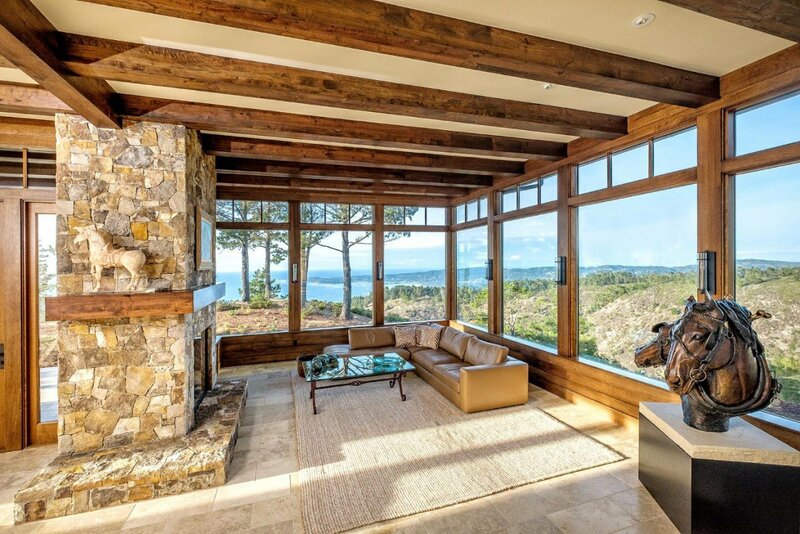 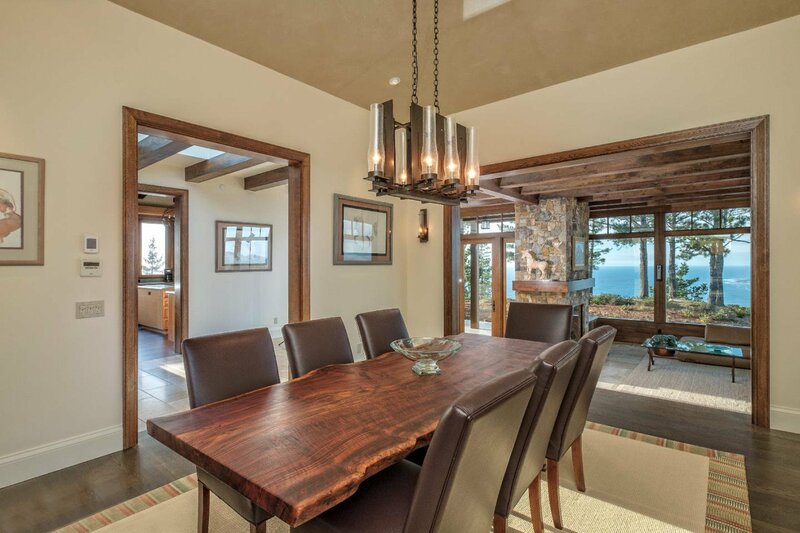 Perfectly sited atop 85 acres, 1,000 feet above sea level, this contemporary masterpiece seamlessly blends into its surroundings while taking advantage of the panoramic views of Point Lobos, Carmel Bay, Pebble Beach, Big Sur and beyond. 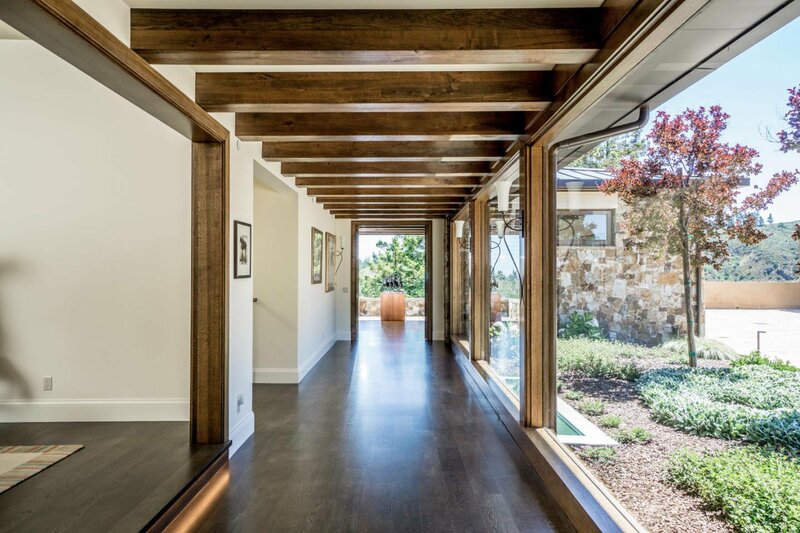 An open floor plan, large custom windows and clean lines throughout enhance the interior spaces while natural materials tastefully integrate the architecture into the environment. 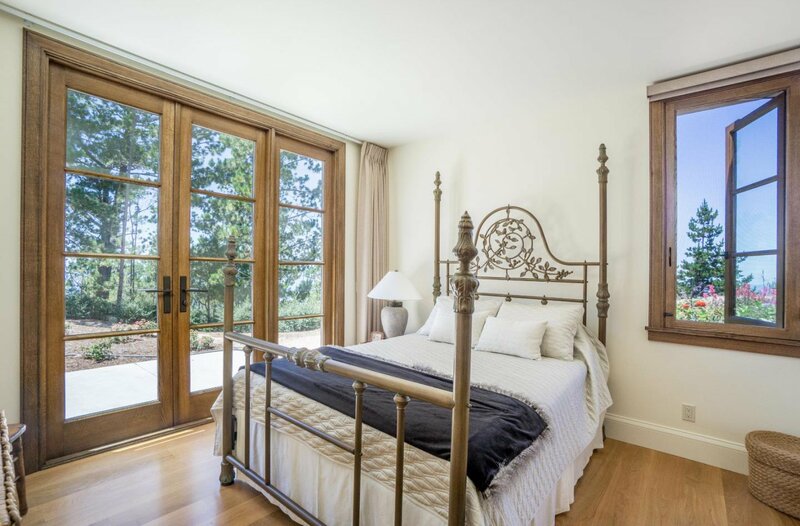 The main house is 5,325 square feet with an expansive master suite, kitchen, and large living/dining/family rooms on the main level. 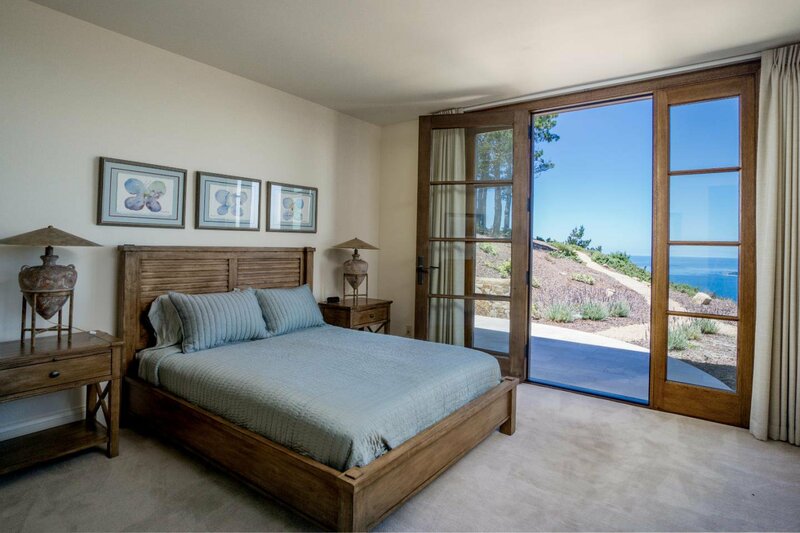 Guests can enjoy the sights of the Pacific from 2 bedroom suites on the lower level that open to a shared limestone patio. 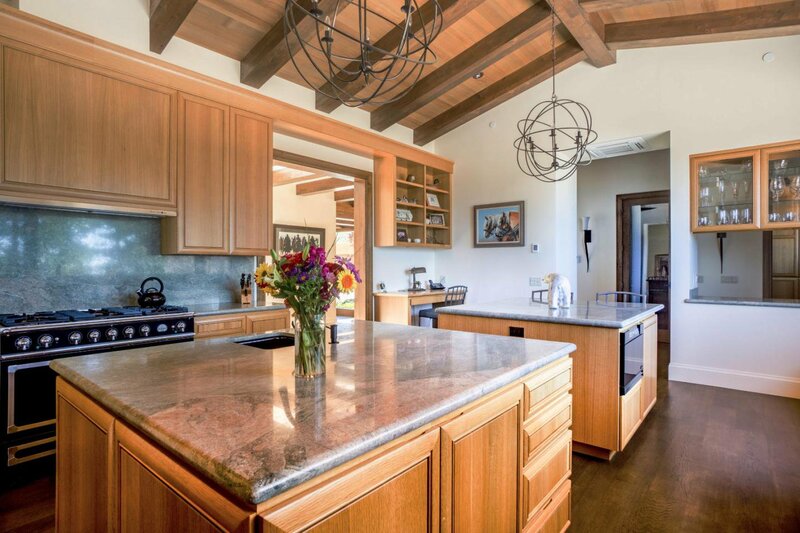 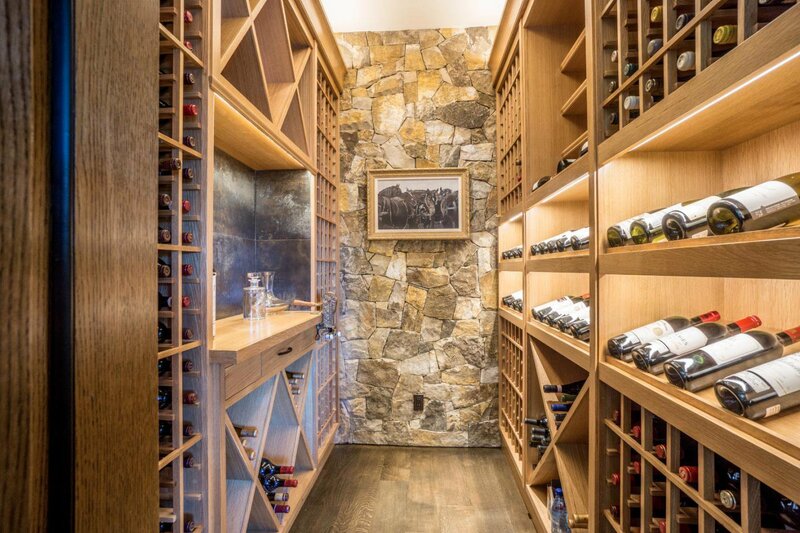 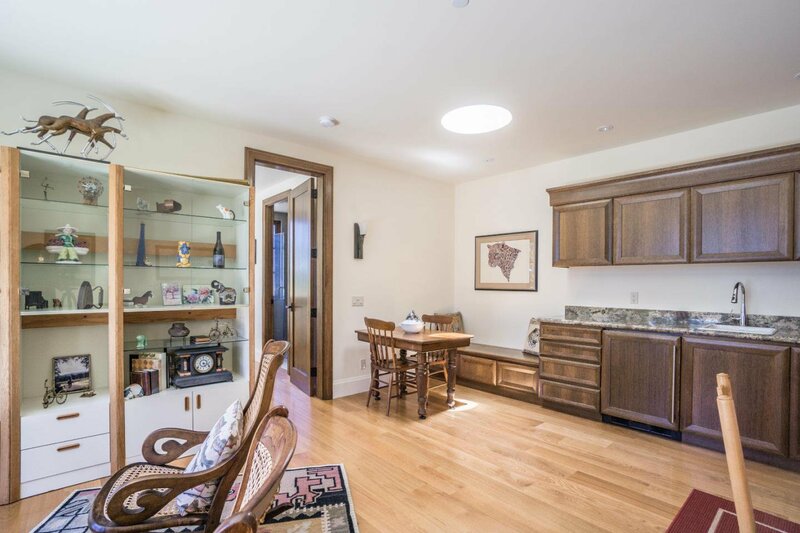 Features include wide-plank French oak and limestone floors, golden stucco walls, custom 8 foot white oak doors, walnut beams, radiant heat, air conditioning, temperature controlled wine cellar and a 4 car garage. 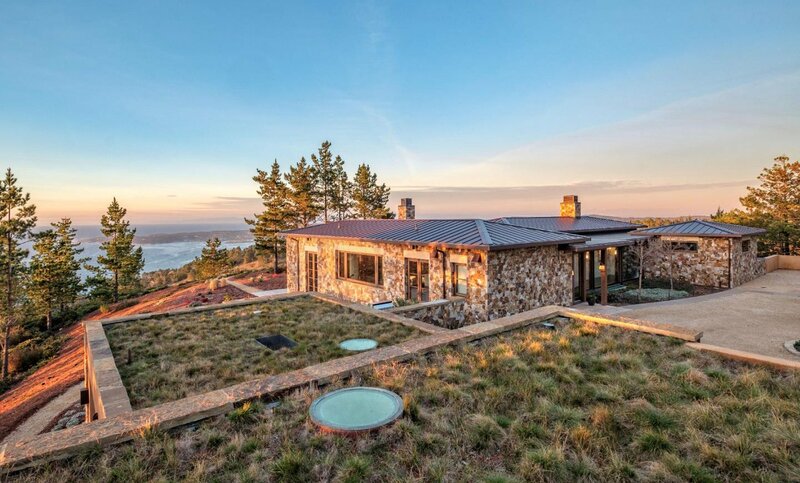 Additionally, there is a 731 square foot detached caretakers unit, that is tucked away into the hill topped.